Kit Karts is an app where all the magic happens in the background. There's nothing to configure or set up upon installing the app. After installation, Kit Karts will start listening for abandoned carts from the previous day. 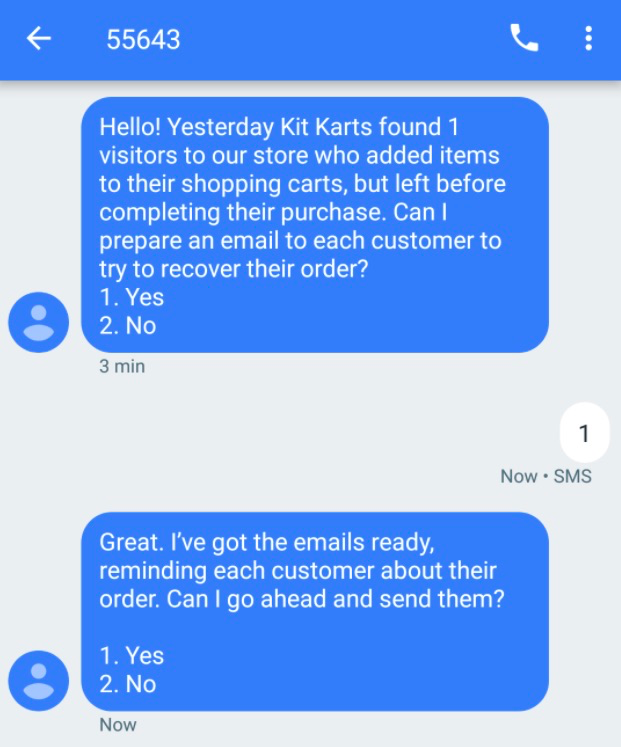 At 12pm PST (or whatever notification time you select on the Kit Karts dashboard), Kit will send you an SMS message asking if you'd like to send recovery emails to the users who abandoned carts. 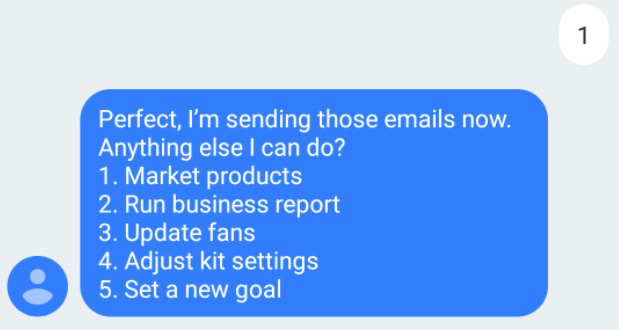 If you reply with a Yes or 1, Kit Karts will notify the customers using the email template set up within Kit. 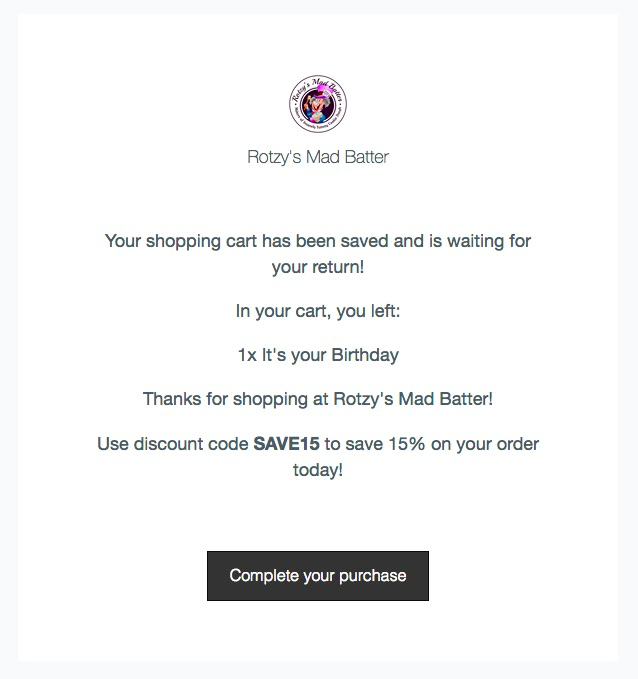 Below is an example email. As people checkout through the link in the email, the reporting in the Kit Karts dashboard will be updated so you can see how effective Kit Karts has been at recovering lost sales.